Sustainability Ambassadors: Launches This Weekend! For quite some time now, we at Collective Responsibility have been identifying and interviewing leaders who have stepped up within their company to inspire and drive effective change. These leaders, who we call Sustainability Ambassadors, have the capacity and the motivation to inspire sustainable practice at any level of an organization – from the new talent to the visionary executive. Each of these individuals has a unique story of how they got to where they are, and what obstacles they had to tackle along the way. So, we at Collective sat down with them and let them tell it. Throughout this series of twelve interviews, we will speak with Asia-based executives who have taken their careers and the companies they support the development of strategies, programs, and cultures of sustainability. Sustainability Ambassadors is a video series that we hope will not only engage and inspire you, but catalyze you and your organization into action: to identify those with the potential to rise and think outside the box, and build a collaborate community of such people that can help your organization forge new paths of longevity and evolve into something powerful. Subscribe to our YouTube channel to keep up with series, and follow us on social media to receive the latest updates on articles, videos, and more. 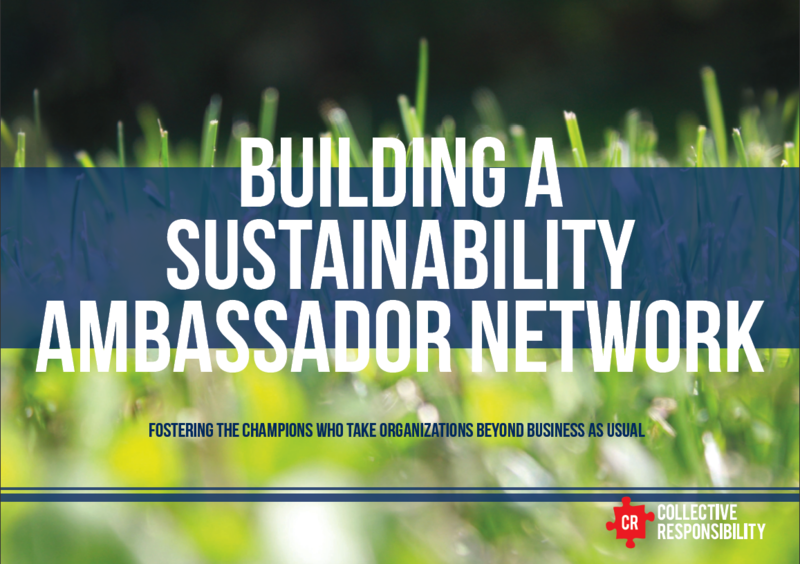 For more insights on Sustainability Ambassadors, and to learn how to foster champions who can take your organization beyond business as usual, check out our Building a Sustainability Ambassador Network Report. This article was written by Gabrielle Williams, Research Analyst at Collective Responsibility. One Response to Sustainability Ambassadors: Launches This Weekend! Like to read such a thorough and awesome blog. The thoughts stimulating my thoughts. Have a nice day.